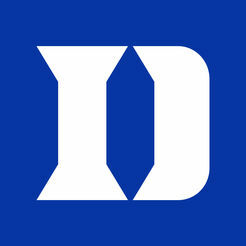 The Texas Tech Red Raiders and the Duke Blue Devils meet on Thursday at Madison Square Garden. Duke is once again proving why they are always compete for national titles. Tonight’s matchup will be a game of contrasting styles. Duke is 34-18 all-time at Madison Square Garden, including a 29-11 record under coach Mike Krzyzewski. TV: 7 p.m. ET, ESPN2 LINE: Duke -9.5; O/U: 148.5. No. 11 Texas Tech is one of nine remaining undefeated teams in the country. If it still is among that group after Thursday, it will have earned it. The Red Raiders have an uphill battle as they face second-ranked Duke. The Red Raiders are off to their best start since going 12-0 to begin the 1929-30 season. They’ve played one of the weakest schedules in the nation heading into Thursday’s matchup. The Blue Devils have had a much more challenging slate. This will be their fourth game against a opponent ranked 15th or better. Their only loss was a two-point setback against Gonzaga. Duke has won its last five games by an average of 39.8 points. They had 101-50 rout of Princeton on Tuesday. Texas Tech is 10-0 this season. The Red Raiders top the nation in field-goal defense allowing a paltry 32.2 percent. They are tied for the lead in scoring defense at 51.2 points per game. Reigning Big 12 Player of the Week Jarrett Culver is averaging 19.1 points, 5.7 rebounds, 4.5 assists. He poured in 30 points in Saturday’s 82-48 win over Abilene Christian. He leads the way at the offensive end. Matt Mooney chips in11 points a contest and is the only other double-digit scorer. The Red Raiders have six players who average at least 7.4 points. Texas Tech ranks second in the Big 12 with 11.5 turnovers per contest. Duke is 10-1 on the season. The Blue Devils lean on the most dynamic freshman duo in the nation. R.J. Barrett averages 24.5 points and 7.1 rebounds, while Zion Williamson throws in 20.1ppg, 9.1rpg, and two blocks. The scary part is that’s only half of their incredible first-year group. Cam Reddish chips in 14 points and Tre Jones contributes 8.3 ppg, and 5.6 assists. The duo is playing big roles for the team. Duke averages 93.6 points and is shooting better than 50 percent. Duke defends the perimeter well also. They are holding opponents to 28.1 percent from 3-point range and they force 16.9 turnovers per game. The Blue Devils also lead the nation with an average of 8.1 blocked shots. Current Streak: won 10 straight games.